Make your music feel like music again. 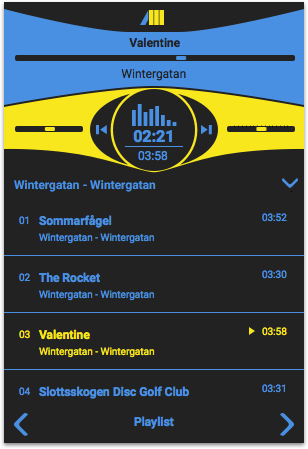 Instead of adding an overweight music library, audioplayer3 focuses on providing you intelligent playlist features that allow you to discover your music the way you like it. With audioplayer3 we bring back this good old feeling of enjoying your music on the desktop in a simple way. At the same time, all the things you love are there: We added support for last.fm scrobbling out of the box, you can listen to mp3 and icecast live-streams and even add songs from soundcloud to your playlist. You can enjoy audioplayer3 on your Mac and soon also on Linux and on Windows. We support all the major desktop operating systems and want to deliver you the best music experience on all of them. Each OS specific version is a native app and perfectly fits into your favourite system.